Some issues at home will render these posts fairly short. 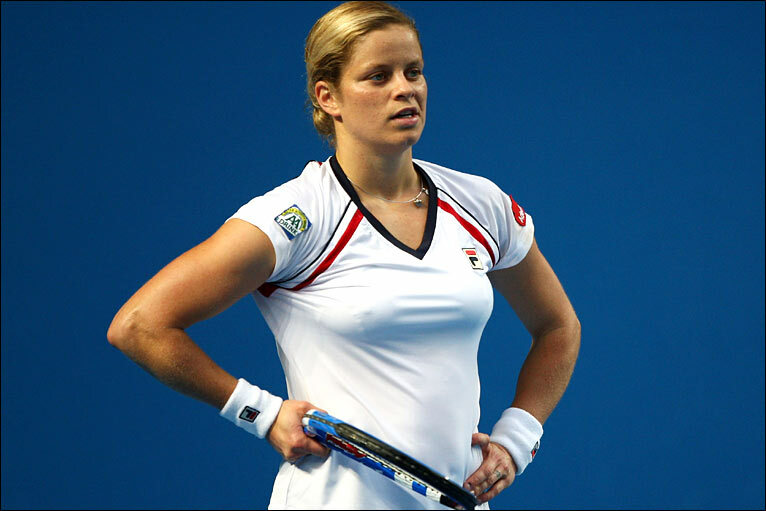 Today saw one of the biggest shocks of the tournament so far with Kim Clijsters – many peoples favourite for the title and certainly Justine Henin’s quarter final opponent – was dumped out by Nadia Petrova 6-0, 6-1. Yes it really was that bad from the Belgian who never found her feet, rhythm or basic game. More importantly it really was that good from the Russian, who is playing better and moving stronger than at any time in her solid top 15 career. On a quietish day for the seeded women, Henin herself had a little wobble before overcoming Alisa Kleybanova in three sets whilst Alona Bondarenko and Dinara Sfaina both came through their matches with relative ease, ousting the poor Jelena Jankovic 6-2, 6-2 and Elene Batacha 6-1, 6-2 respectively. Svetlana Kuznetsova advanced as did the unseeded pair of Maria Kirilenko and Jie Zheng who beat Marion Bartoli. The danger player for Henin now is giant-killer Yanina Wickmayer. Andy Roddick and Rafael Nadal both had to fight through tough matches against Felicano Lopez and Phillip Kohlschreiber at either ends of the days play. Both came through in four gruelling sets. Ivo Karlovic and Marin Cillic both came four setters themselves to advance. It was easier elsewhere though with Andy Murray, Juan Martin Del Potro (who faces Cillic) and Fernando Gonzalez all going through in straight sets.